"Nissan Group today announced monthly Canadian sales of 9,452 units, an increase of eight per cent over last year and the best November in the company’s history. This sales achievement marks 28 consecutive months of record sales for the Nissan Group in Canada." 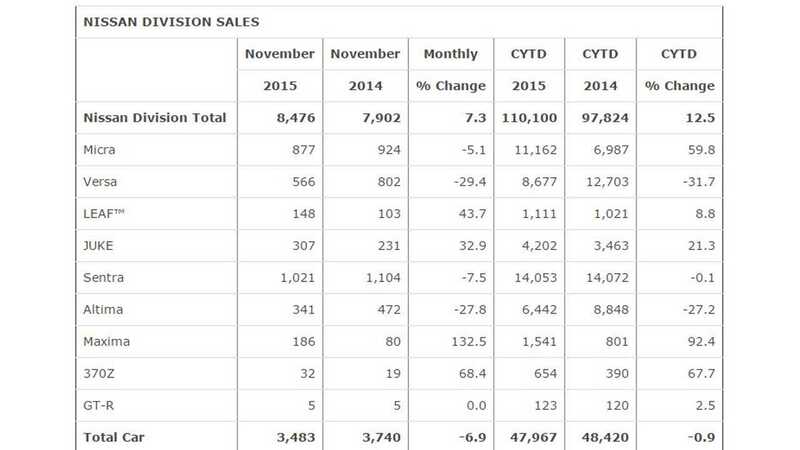 "Nissan brand sales increased 7.3 percent with 8,476 units sold, setting a new November sales record. Calendar year-to-date, Nissan sales are up 12.5 per cent." 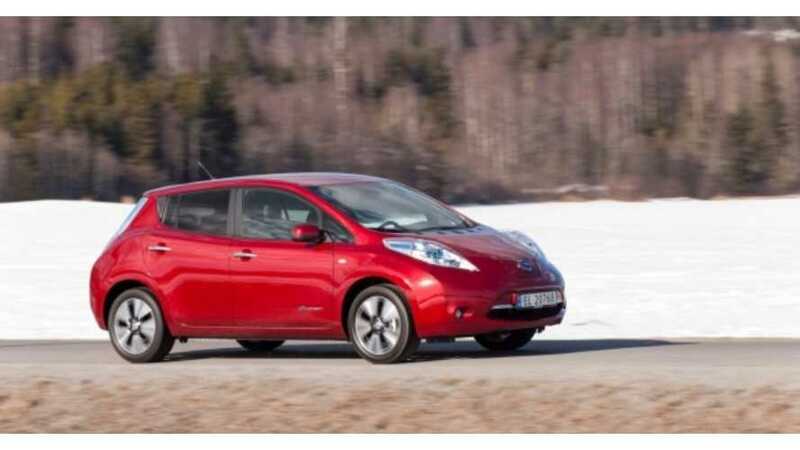 "The fully-electric Nissan LEAF set an all-time monthly sales record with 148 units sold, up 43.7 percent." YTD, LEAF sales now stand at 1,111, up slightly from the 2014 total of 1,021 and there's still one month left of sales reporting this year. Complete Canadian plug-in electric car sales will be reported by us soon, but we thought this LEAF sales record was worth sharing.